Thanks for sharing this article it helpd me lot in terms of indian payment gateway understanding. Iam doing a research on value proportion in terms of service.Could you please give some points from the point of view merchant what are their expections from payment gateway apart from low MSF. Please it will help me to understand merchants view. So that i can help payment gateway provider in terms of service delivery. Hi Nanda! Yes im refering your bullets points. Im working on icici merchants service project i know what are strength and weaknes of this company. My role is make win-script for busines manager which will help them on field. I just want to know from your point of view which is one better Axis,hdfc,citi,icici,aggregators. Please help me to design my win script for sales team.!! A very good article and also well articulated…I am planning to start an IT peripherals online store and am looking for a payment gateway. Mine is a high volume and low margin business. With the current rates offered by gateways it becomes very tough to suffice. You were mentioning about 1.5% and 3%. Kindly provide on some insights on who is providing it and also suggest which would be a better option to choose. EBS is a pioneer to associate with multiple acquiring Banks for providing Payment Gateway services to offer Master, Visa, AMEX, JCB, Diners, Net Banking & Cash Card brands on a single platform. Our offices are spread out in the Metros of Mumbai, Hyderabad, Banglore, Ahmedabad, Jaipur, Delhi & Chennai for easy reach and to provide personal attention, service and consultation. Please feel free to call on 98289 99663 or Drop mail at charan@ebs.in. Hello Nanda – Very well written post. Super informative. Thanks! Thank you very much for sharing your research and knowledge . We are a small firm just on the edge to start an e-commerce portal but still stuck on the decision as to which payment gateway should we opt for. The discussion always boils down to 2 players: EBS & Cc Avenue. We are not sure which one to go for. The fact that Flipkart and many major players in e-commerce industry are using Cc avenue attracts us towards it , on the other hand reviews like low success rate repels us. Some more Specific points would be very helpful by those who are using any of these payment gateways. Greetings from California! I’m bored to tears at work so I decided to check out your blog on my iphone during lunch break. I really like the information you provide here and can’t wait to take a look when I get home. Currencies were invented centuries ago. But the form and usage has kept evolving over the centuries. Now it seems that the future of the traditional wallet is looking dim.According to global research conducted one of the major payment gateway providers, a large number of people around the globe ready to ditch their leather wallets which have been near and dear to all for electronics and electronic payment methods. We at HighRisk Gateways http://www.highriskgateways.in provide the merchant account, payment gateway for all kinds of ecommerce business. We can get you approved even your application has been rejected by any bank. We also have the offshore merchant account solution for Tech Support, Pharma business,. Can anyone suggests some options for payment gateway integration for my Indian website ? 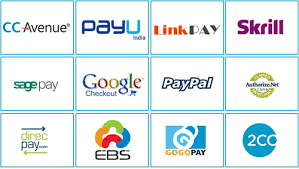 Or any factors which are important while selecting a payment gateway for my website ? Previous PostPrevious What is a Payment Gateway?